Sophie East is a commercial litigator with considerable experience in class action proceedings. 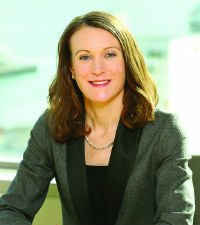 She is currently representing the former directors of Feltex Carpets in the first class action brought in New Zealand and the largest prospectus liability claim. She is also representing a major retail bank in a class action over fees on deposit accounts and credit cards. While working in New York in a leading international arbitration practice, East advised a European bank in defence of a class action that followed the collapse of Enron. East has acted as counsel in several other high profile proceedings, including acting for Pernod Ricard in a successful claim against Lion Nathan relating to the sale of Montana, Lindauer and other wine brands. She also acted for Air New Zealand in the Commerce Commission proceedings alleging price fixing in the air cargo market.